More than 40 titled players will participate in this year’s edition of the Women European Club Cup. Top rated is the ex World Champion Antoaneta Stefanova, follwed by her teammate and World Blitz Champion GM Kateryna Lahno, IM Harika Dronavalli, GM Cmylite, GM	Chiburdanidze, and 19 more IM players. 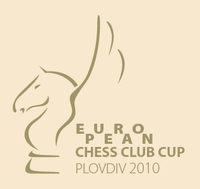 Top seeded is the team of AVS with average ELO of 2511, follwed by SPb Chess Club 2474, and Samaia Tbilisi 2464.